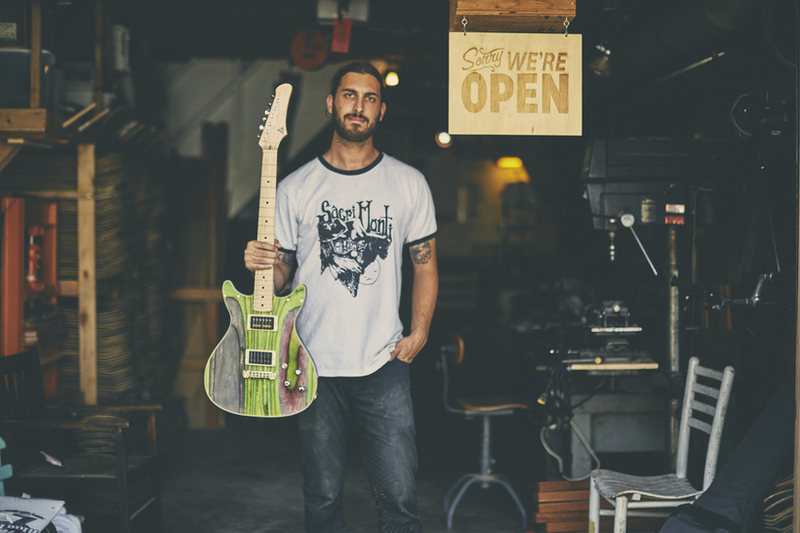 “Working in SF is insane,” says 24-year-old, self-taught woodworker, Nick Pourfard, the industrial design grad behind idiosyncratic guitar brand, Prisma Guitars. “I think there are just so many people doing big things here, it’s only natural that you start connecting with them all. It’s important to me to involve the community that has supported me since the beginning,” explains Pourfard. It’s not often you hear that from artists based in San Francisco, the city that’s become dominated by the tech boom. Luckily for Pourfard, it’s engendered some stellar connections, including Free People’s “for him” section, for whom he makes accessories, Uproxx.com’s second season of “Human”, the documentaries sponsored by Coors Light, and the city’s local Anchor Brewing company that have helped them create a new video series, Shop Sessions. 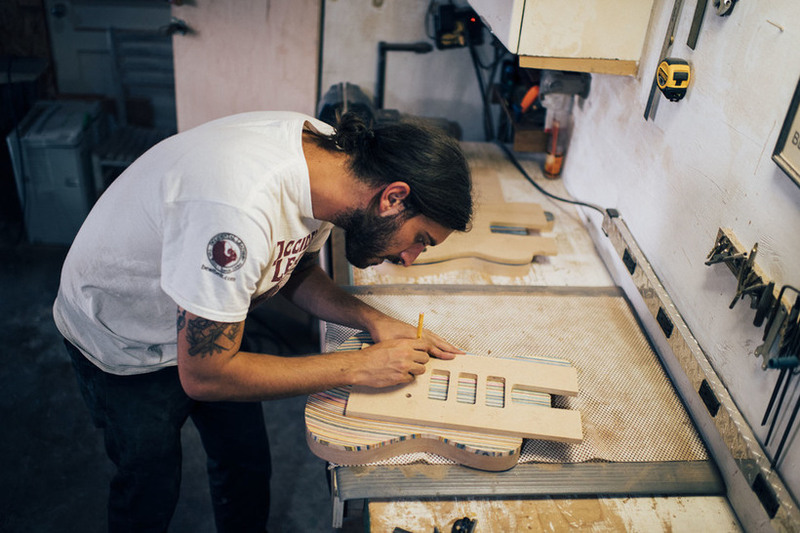 “We basically bring bands into our garage woodshop to play our guitars alongside the tools that made them. It is as real and raw as it can get, no gimmicks,” says Pourfard. He’s got even more video projects in the works – teaming up with big brands that he’s keeping hush-hush…for now. “The biggest thing I attribute that to is that this is who we are. There is no larger corporate headquarters complicating everything. 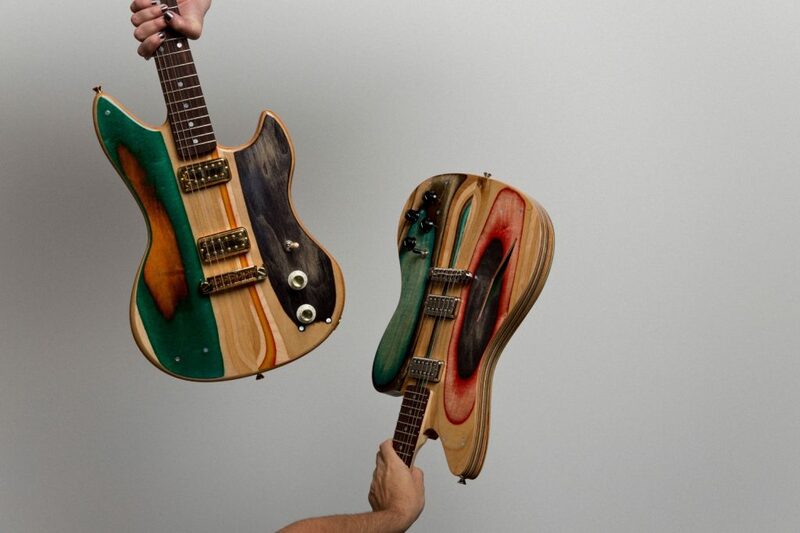 We do this everyday and love it.” Pourfard produces these 100 percent handmade guitars right out of his garage in the Sunset district; the direct result of broken bones and happy accidents. “I broke my ankle skating and I occupied all my time learning woodworking until I could recover completely,” he says. What once took him six months to make while starting out, now takes about a week. Not only are they beautifully crafted, almost 70s psychedelic-looking pieces of art – intense, vivid colors, swirling abstract patterns – they can never be copied. 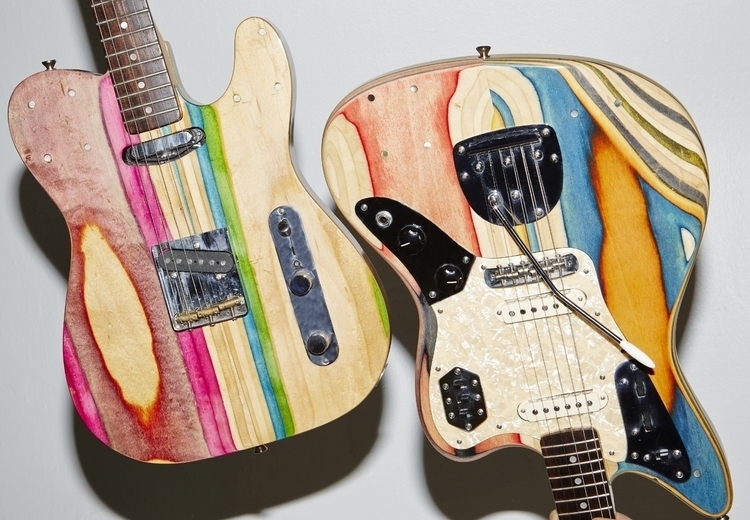 Each and every one is entirely unique; Prisma’s guitars are built from reclaimed and recycled skateboards, most of which are kindly donated. 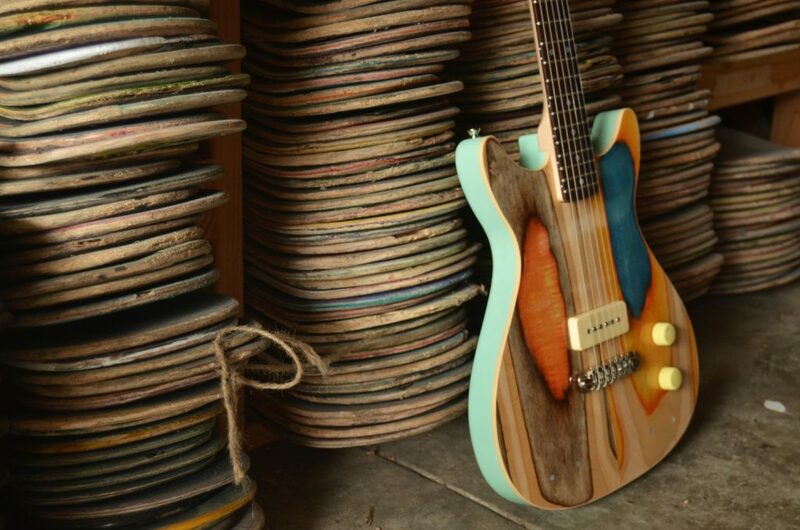 Pourfard even made a limited collection of guitars known as ‘The Burnout Series’, a distinct charred effect from the black, unrideable boards caused by a 2013 fire in the studio that housed Lurkville’s skateboards. Pourfard founded Prisma in 2015, during his last year of college. “I remember taking finals and trying to finish orders at the same time,” he says. “In my off time I build and design furniture. 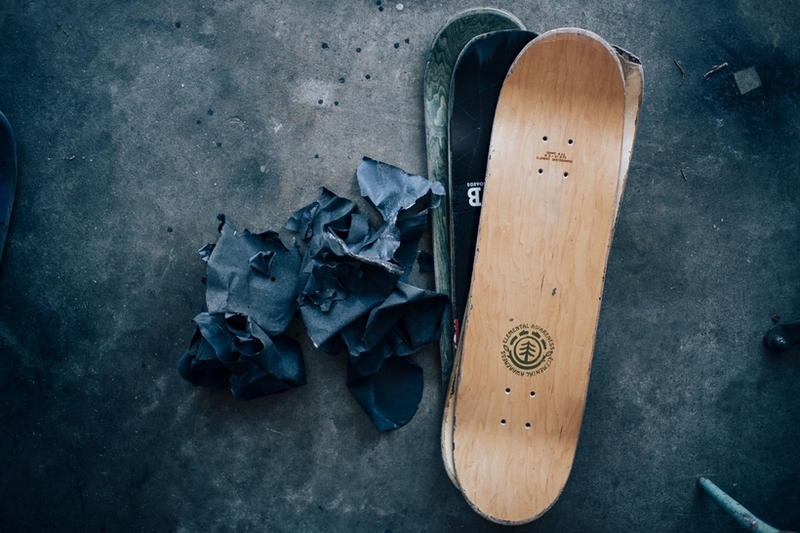 I think it’s important to build different things as often as you can, to develop skills and have a better understanding of tools and material.” Pourfard cares about every single detail; He shares his entire method through a newly launched promo video starring iconic skateboarder and musicianTommy Guerrero, and local skater, Tory Hereford; the lifecycle of a board, the abuse they take before Pourfard receives them, and the transformation from start to finished piece. 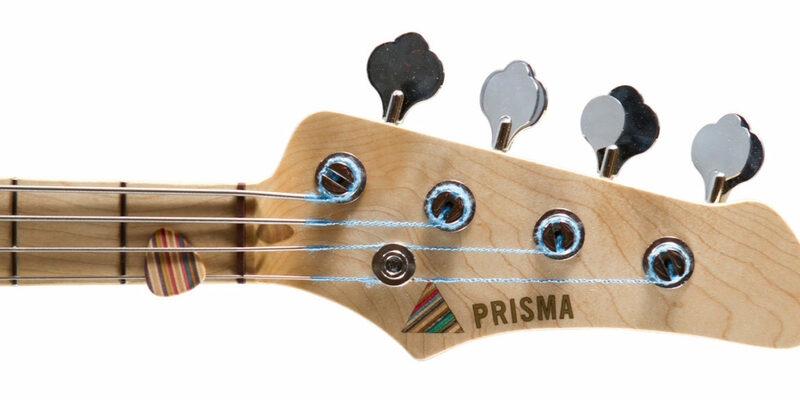 Another awesome shot of our Sunset Series headstock in orange ? ?